There is no doubt that Google AdWords is a fantastic way of reaching out to your target market while they search the internet for businesses just like you. But while many companies recognise the importance of search engine adverts, many simply don’t know where to start. This means they could be wasting money and missing valuable opportunities. Platinum Web Media is a digital agency based in Adelaide, Melbourne and Sydney (Australia) and has one simple mission – to help businesses attract new customers and increase their sales. We will review your Google AdWords account and come up with an effective strategy which will help you meet your business goals. Platinum Web Media can make sure your pay-per-click (PPC) adverts are in the right place at the right time so they are seen by the people who matter most – your potential customers. The Platinum philosophy as a digital agency is – the customer always comes first. 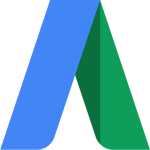 We’ll take time to listen to your needs and find out about your business, so we can come up with a Google AdWords solution which really works for you and makes the most of every penny you spend. Find out more about how Platinum Web Media can help you increase your sales today with Google Ads.